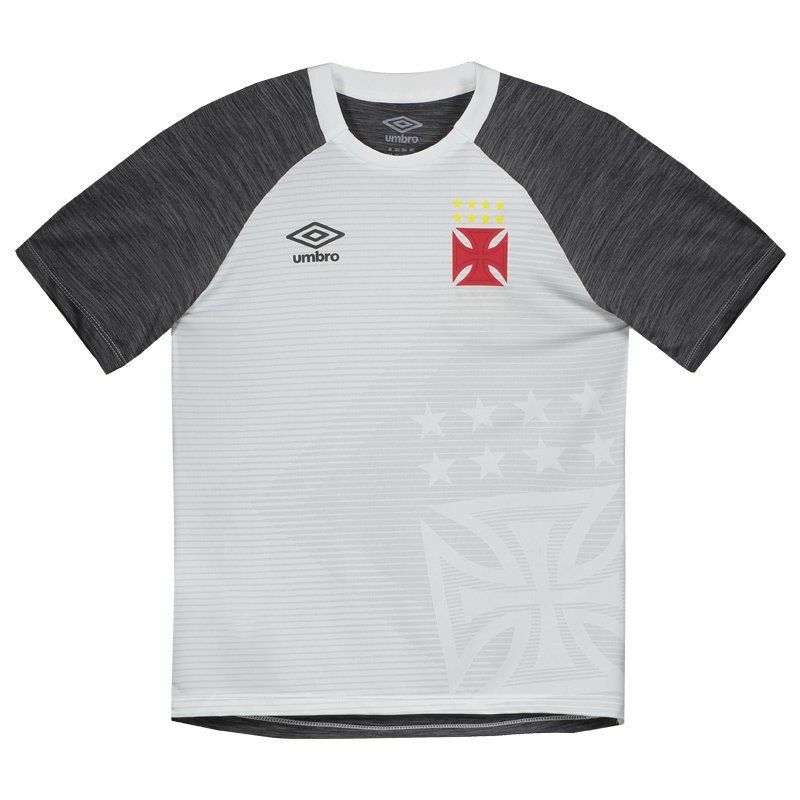 Made by Umbro, the Vasco Warming Up 2017 Kids Shirt is ideal for the young fans of the Giant of the Hill. The piece features polyester and elastane at the front and polyamide at the rear, offering maximum comfort. It offers name and number customization. More info. 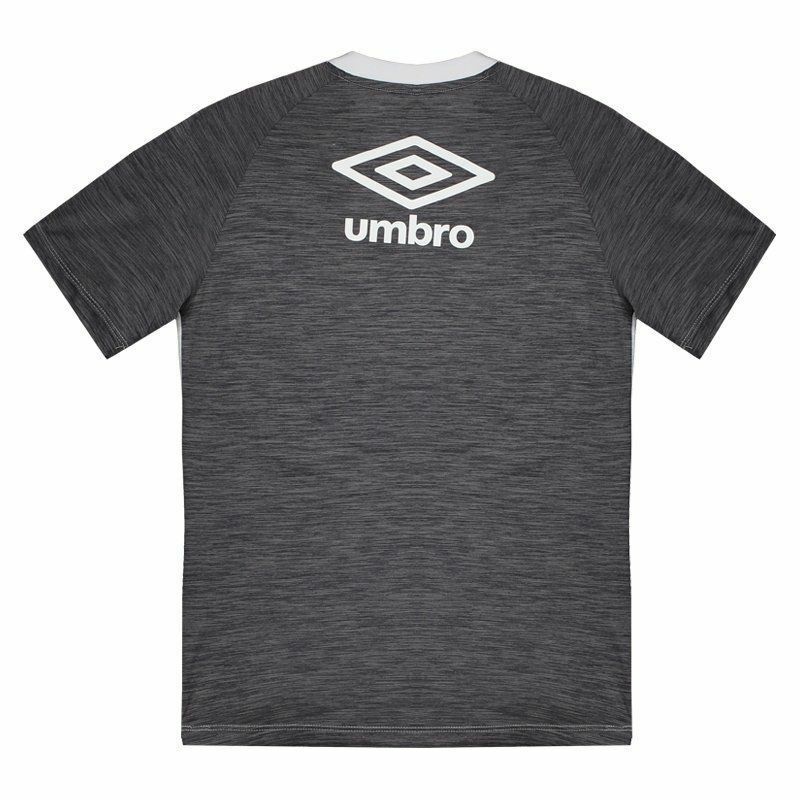 Made by Umbro, the Vasco Warming Up 2017 Kids Shirt is ideal for the young fans of the Giant of the Hill. The piece features polyester and elastane at the front and polyamide at the rear, offering maximum comfort to the body. Its design features the front in white with horizontal gray stripes in a light tone. In addition, it comes with the team badge printed on the left side of the chest and the logo of the mark on the opposite side. Already on the back, the gray lead color predominates in tone mix. Finally, the Umbro diamond appears prominently near the nape of the neck, complementing the details of the shirt. Get it now!